Discussion in 'The Off-topic Lounge' started by Splinty, Jan 13, 2019. Get ready to be exhausted folks. The election is still more than 18 months away but its spinning up now. Basically handing the election to Trump with that list. In for the inevitable internet fight. Julian Castro is a pragmatist with a largely blank slate on the national issues. He misses only name recognition. Anyone smart will try to put him on their ticket as VP, setting him up for a 2024 or 2028 run. He was smart to jump on the ticket now to woo money that might otherwise get caught in Beto mania. Someone with name recognition at the top and Castro for veep would likely unseat Trump. The market has probably already priced in everything, since a downturn has been anticipated for so long. and will probably recover throughout the next 18 months without a true bust, depending on Trump/China trade war. If that happens. Trump will have the economy, barely, but is polling pretty bad everywhere else. As long as the Dems don't go to far left during the primary, they will enter the election with a likeability factor, healthcare, and an economy that is a little more competitive from the political standpoint on their side. The GOP totally bombed everything when they had no healthcare plan after 8 years. This isn't going be a cakewalk for Trump unless the economy gets hot hot hot again and the Dems shoot themselves in the foot with an unlikeable candidate. Independents will make the general in 2020 just like 2016, but more so. The battleground for the 2020 presidential election may have been mapped out by Tuesday’s midterms and exit polling shows it lies smack dab in the middle of America’s suburbs. Nearly 50 percent of the electorate is suburban, which this year was evenly split between Republicans and Democrats -- at 49 percent each -- according to the National Election Poll, the exit poll of almost 19,000 respondents often cited by the national media. For the last two decades, suburban voters have leaned slightly Republican, as was the case in 2016 when Donald Trump outpolled Hillary Clinton by four percentage points. In contrast, urban voters supported Democrats by a 33-point margin in this year’s midterms, while Republicans carried rural areas by 14 points. "There’s an old adage in demographics that density equals Democrats, but the Democrats are starting to show significant strength in the less dense suburbs,” said Karlyn Bowman, a demographics expert at the American Enterprise Institute. She predicted that “the suburbs will continue to be a competitive area of focus” in 2020. One of the biggest shifts in suburban voting patterns involves married women. 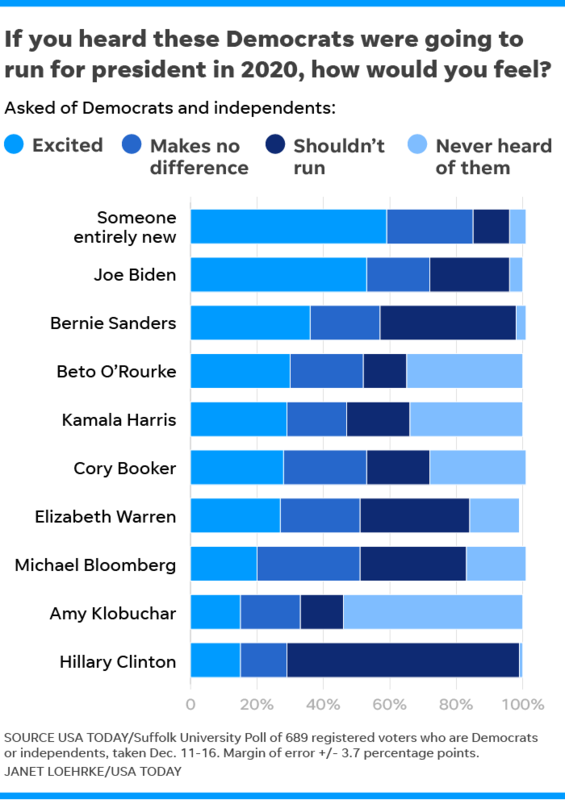 In 2016, for the first time since exit polling began in 1980, married women slightly supported the Democratic presidential candidate, 49 to 47 percent. That shift became more pronounced this year with married women supporting Democrats by 54 percent to 44 percent. “Trump’s temperament and demeanor has exacerbated the movement of married women towards the Democrats,” said Bowman. Oh, its going to be terrible. What does the electorate care about right now? Its interesting to see the same trends over and over. People don't like Trump, but they REALLY don't like Congress. Not sure that's a presidential win for Trump though if the Dem candidate can escape that congressional blame. "While politically Ojeda considers himself a moderate, his views have been likened more to left-wing populism, running on a Medicare for all, legalization of cannabis, anti-lobbyism and government accountability platform." ^^^^^^ that will lose him some trump voter votes. is he trying to legalize weed on a federal level? because it is legal recreationally in a lot of states now you can just walk in to most dispensaries and buy things like if you were at a liquor store without a card. 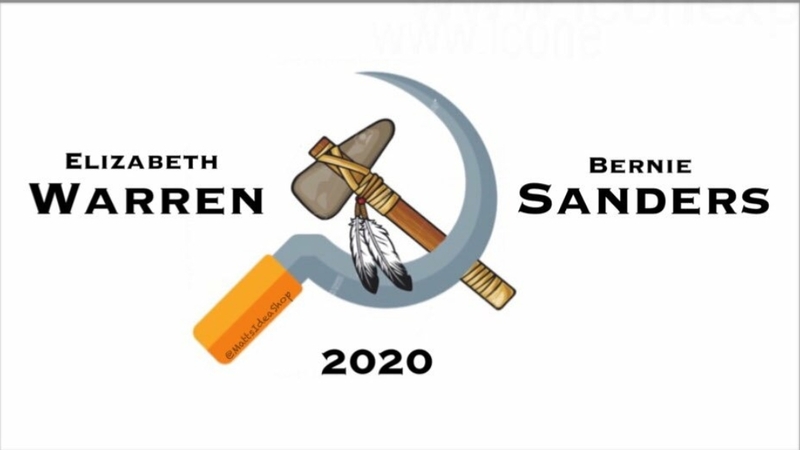 "Harris earned an "F" rating from the National Rifle Association for her consistent efforts supporting gun control"
Elizabeth Warren gonna get elected and take the tribes lands back! If the corrupt Dems rig the votes, sure. We'll do our part down here in Broward County. We can't do it alone, though.